We provide 24/7 Emergency Support for customers that enroll for PREMIUM support package. Here at EPC Web Studio, we provide to our customers 24/7 tech support over Phone, Live Chat and Email, service available only for the customers that enroll for the PREMIUM support package. When services don’t work, people usually assume the worst. We’ve handled support calls where a simple domain name expiry led customers to believe their site was hacked and their data was stolen. Human factor – Talking to a living, breathing person is any day better than an impersonal email. During emergencies, customers need reassurance, and a human voice is the best way to deliver it. The interaction happens in real time : Unlike mail communication, the customer knows that someone is looking into the issue RIGHT NOW. That someone is accountable at that moment. Helps quick & accurate issue troubleshooting – Upset customers tend to leave out critical information. On phone, the techs can ask precise questions to quickly find out what’s going wrong. Assess customer satisfaction – It is important to de-escalate a situation before signing off from a support interaction. On phone, it is easier to understand if a customer is happy with the resolution, and if not, more actions can be initiated to make the customer happy. 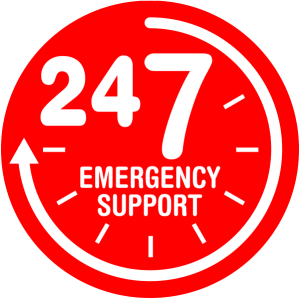 As a customer of our PREMIUM support package you will receive a phone number that you can dial 24 / 7 and get in touch with our support team. 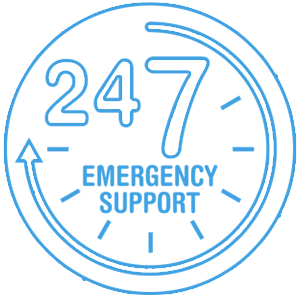 Ready to enroll for the PREMIUM 24 / 7 EMERGENCY SUPPORT?